Although the United States is spending more on welfare than ever before, most of that money is going to better-off families rather than the very poorest. 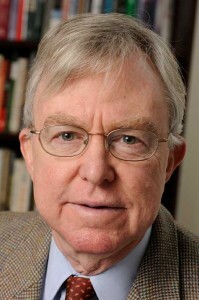 Robert A. Moffitt, the Krieger-Eisenhower professor of economics at Johns Hopkins University, found that the U.S. has gotten more generous over time in supporting low-income families, spending 74 percent more inflation-adjusted dollars on welfare programs in 2007 than in 1975. But for the 2.5 million single parent families with the absolute lowest levels of earnings, aid dropped 35 percent between 1983 and 2004. During that same period, aid rose 74 percent for those earning slightly more. Moffitt, who is president of the Population Association of America, presented his findings May 2 at the organization’s annual meeting in a keynote address titled The Deserving Poor, the Family, and the U.S. Welfare System. The report is slated for winter 2015 publication in the journal Demography. Moffitt researched the 15 largest social safety net programs over the last 30 years and found spending to assist the poor dramatically increased, especially since the mid-1980s. He also examined who was getting that money and discovered three major trends. First, there was the marked shift away from those earning the least money, as little as 50 percent of the federal poverty line, to those with incomes as much as 200 percent above the poverty line. That means in 2014, a family of four earning $11,925 a year likely got less aid than a same-sized family earning $47,700. Next he found more assistance going to the elderly and the disabled and less to the non-aged and non-disabled. And finally he tracked a spending shift to married parent families, away from single parent families. Though welfare spending was up overall, Moffitt found the programs with the most growth tended to assist only specialized populations. These included the Supplemental Security Income program (which only helps people who are elderly, blind and disabled), the Earned Income Tax Credit program (which offers tax credits only to working people and mainly to families earning $10,000 to $20,000) and the Child Tax Credit (which only helps those with significant taxable income). The Food Stamp program, which also expanded greatly, does help everyone but only provides about $5 per day per person. Overall, Moffitt discovered a distinct trend of welfare benefits going to those who are regarded as “deserving” of support. More directly put, the government and voters prefer that aid go to those who work, who are married and who have kids, Moffitt said. Single parent families who were not disabled and younger than 62 received 20 percent less from the government in 2004 than in 1983. Of those families, those with incomes 50 percent below the poverty line took the biggest hit with an aid drop of 35 percent. Those with incomes above 50 percent of the poverty line actually saw an increase of 73 percent. While Moffitt agreed that work should be rewarded and that those who are capable of work should be required to do so, he recommended that those who are making an effort but are not able to find good-paying jobs receive more support than they are currently receiving. Robert A. Moffitt’s most recent research, published in The Annals of the American Academy of Political and Social Science, showed how U.S. aid programs expanded to help Americans during the Great Recession. More on that report here. For a copy of the address or to speak with Moffitt, contact Jill Rosen at jrosen@jhu.edu or 443-997-9906.